Apple does a fairly decent (though not perfect) job of policing their App Store to make sure my device doesn’t get bogged down with viruses and malware. Google’s Android, meanwhile, feels a bit more like the Wild West – there are multiple places to get Android apps, meaning devices are more susceptible to malware. Further, Google Play hasn’t exactly done a stellar job of keeping its own online store free of low-quality apps and malicious programs. But times appear to be changing. Google has taken a long, serious look at the reputation of its App Store, and appears to be doing something about it. 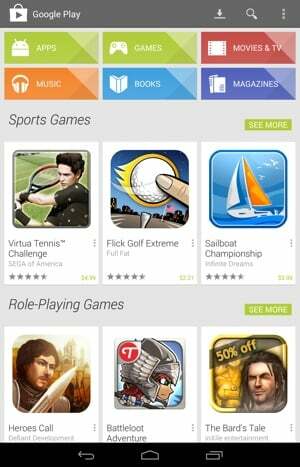 Research firm Priori Data has determined about 36,000 apps were removed from Google Play last month for violating the store’s rules. That was hardly the first month Google scrubbed its store shelves, either. The company has kept its pace all year, removing hundreds of thousands of apps from Google Play since January 1 – over five times the number removed from iTunes. And according to Quartz, recent changes to Google's Developer Program Policy suggest even more removals are on the way. There are a number of different problems with the apps pulled from Google Play. Some are copycat apps – programs designed to trick the downloader into thinking they’re a different, more popular (and likely more expensive) app. Others are loaded down with adware in violation of Google’s own policies. According to research firm Priori Data, nearly a quarter of all Android apps fit in that latter category. Of course, because Android is a more open operating system, it’s likely to always be a bigger target than iOS for hackers. Thankfully, you don’t need to rely on Android’s App Store policing to keep your device clean. Check out our guide on keeping your Android device free of malware and these great mobile security options.